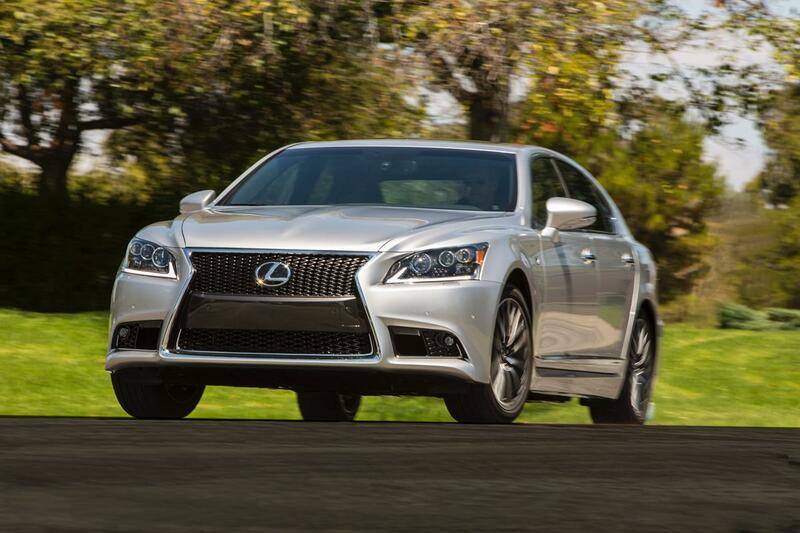 This big, Lexus sedan is short on nothing. It’s luxurious, powerful, and sleek. 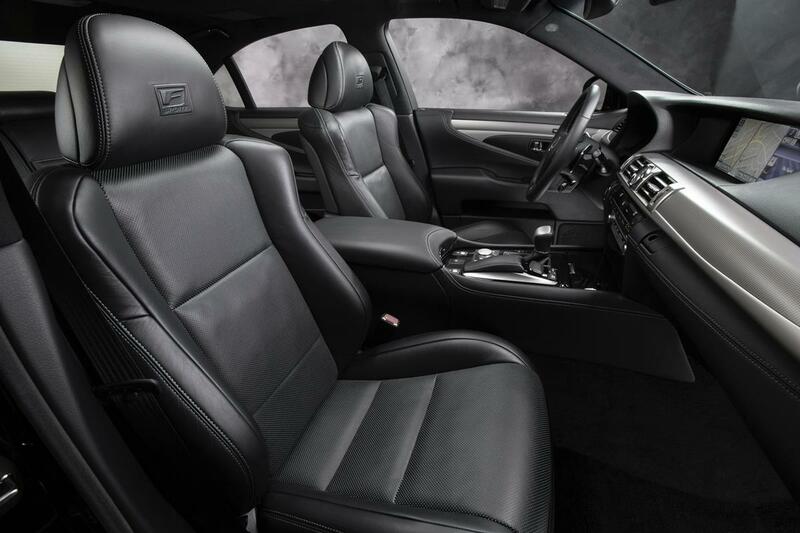 Quality and comfort are the chief hallmarks of this full-sized sedan, which spearheads the Lexus lineup of luxury cruisers. Full-sized luxury sedans are always three things: big, posh, and powerful. These are de facto requirements in the segment and the 2015 Lexus LS 460 is all of those things. The focus, as with most Lexus vehicles, is on luxury and quality, though, rather than performance and musculature. 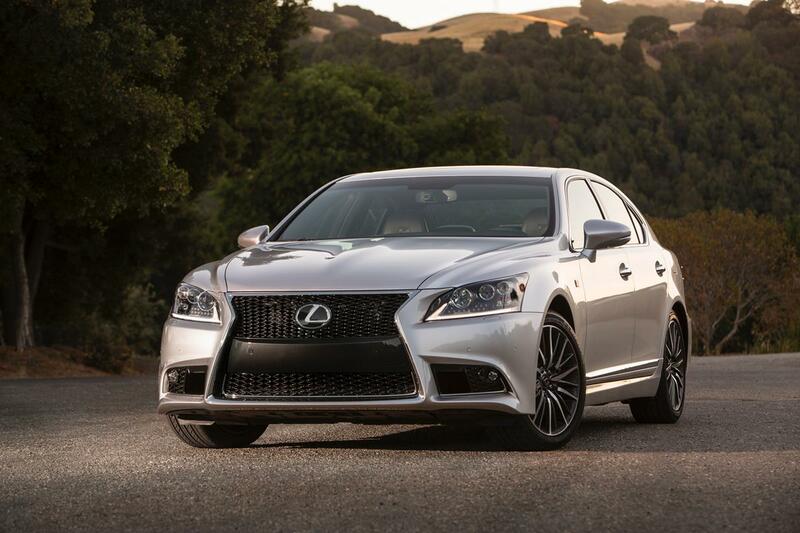 The 2015 LS is above all a comfortable sedan that doesn’t drive like the boat it might appear to be. Several new things come to the 2015 LS 460 this year, including a new Crafted Line model, an updated navigation system, and Enform Remote capability. The LS is available as a sedan or extended wheelbase sedan (designated “L”) in rear-wheel or all-wheel drive. A hybrid version, the LS 600h, is also offered. Having now spent a lot of time in Lexus vehicles over the past three years since Car News Cafe was started, we’ve come to expect certain things from them. The LS 460 epitomizes what should be expected from a Lexus sedan: excellent materials quality, a smooth ride with some sport factor, and plenty of roomy cush for passengers. As usual, though, this is hampered by the below-par Lexus Remote Touch system, which is still touchy to use and difficult to navigate. The “Lexus mouse” is not as responsive with the system as it could be and can be distracting. On the up side, the infotainment display is a huge 12.3-inch widescreen centering the dash. It’s easy to read and offers split-screen use to keep tasks like navigation on-screen when dialing or changing radio stations. 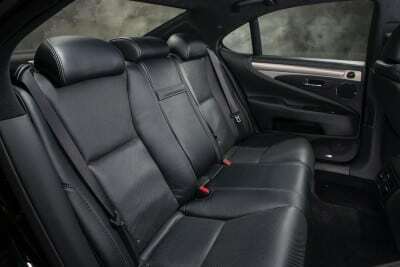 The rest of the LS 460 interior is superb, however, with extremely comfortable seating, plenty of leg, head, and shoulder room, etc. 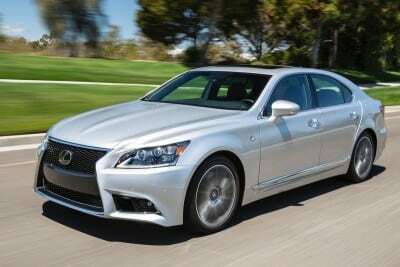 On the road, the Lexus LS 460 is quiet and comfortable with the engine only piping through to the interior when pressed. 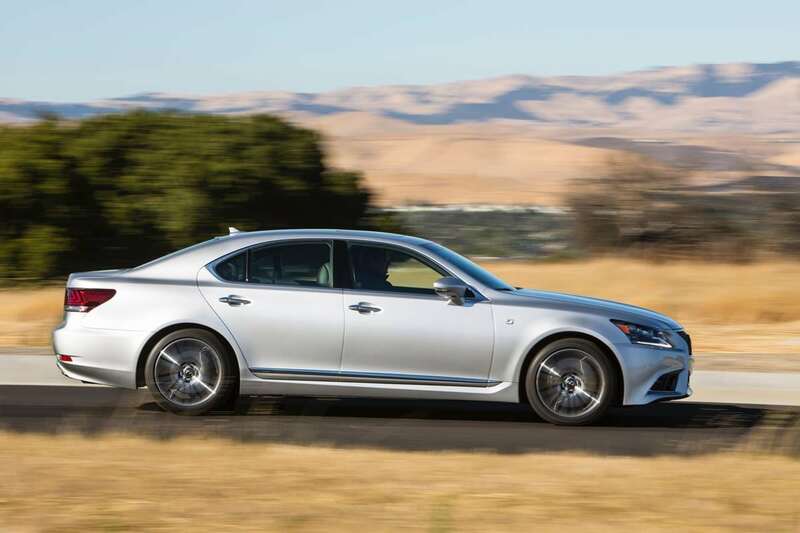 A smooth 4.6-liter V8 motivates the LS 460, producing 386 horsepower and 367 pound-feet of torque into an eight-speed automatic transmission and rear-wheel drive. The all-wheel drive option that we drove has slightly less power output at 360 hp and 347 lb-ft.
Our average zero to sixty time was hampered by the weather we had during the week the Lexus was our press loan. Nevertheless, we managed a 7-second average overall and likely would have seen half a second faster had the weather cooperated. The EPA rates the big LS 460 in rear-wheel drive at 19 mpg combined and in AWD at 18 mpg combined (16 city, 23 highway). We averaged 19 mpg in our week with the car, despite some performance driving. The F SPORT model offers select-able driving modes that change dynamics in throttle response, transmission shifting, and suspension dampers. Four modes are offered: Eco, Normal, Sport, and Sport+. Despite its name, the LS 460 F SPORT is not especially quick or nimble when compared to some rivals such as the European makes. This doesn’t detract from its excellence, however, as the LS is a fine automobile with plenty of goodness in other areas to make up for its not being the sportiest luxury sedan on the road. Ride quality is excellent and soft without being gushy. This can be changed a bit with Sport+ in the F SPORT model, which stiffens the suspension slightly to improve cornering. Handling is not tight, but it’s confident and feels good on long highway stretches or when maneuvering around town. The luxury full-sized sedan class has no want for competitors. The 2015 LS 460 is pitted against some fine machines, such as the thoroughly enjoyable Jaguar XJ, the sport-tuned Audi A8, the popular BMW 7 Series, and the uber-luxurious BMW S-Class. Excellent interior in both quality and roominess. Not as sport-tuned as some rivals. The 2015 Lexus LS 460 is a beautiful luxury sedan with an interior that even the most discerning will enjoy. It’s a compliant, comfortable drive with good acceleration and a bespoke appeal to its cushy movement. 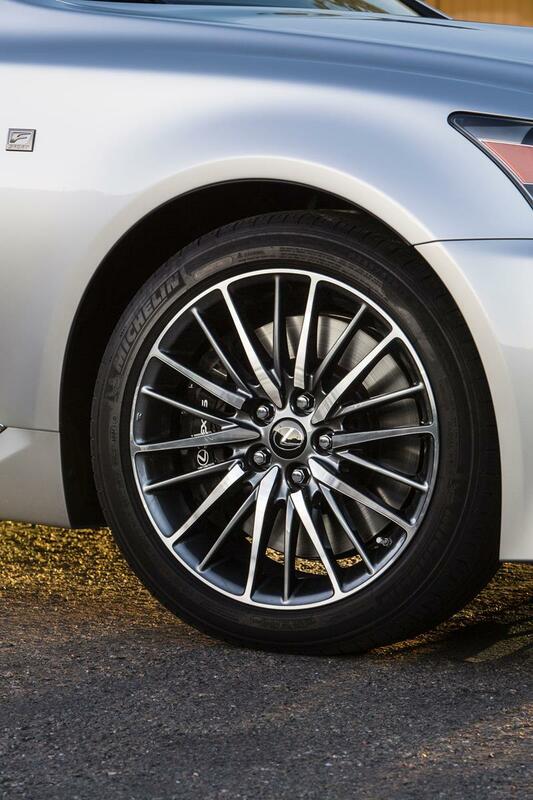 Those not expecting sports car excitement from their luxury sedan will find the Lexus LS is an excellent choice. The 2015 Lexus LS was a manufacturer’s press loan for about a week. During that time, we put a total of 502 miles on the vehicle in varied driving conditions.